Old for New - Nilfisk will offer up to £1,000 trade in allowance on every new floor cleaning machine purchased when you trade in your old machine​. ​Up to £1,000 trade in allowance is only available on equipment over the net value of £5,000. You can trade in any floorcare machine regardless of brand or condition. We will remove and dispose of your old equipment in accordance with WEEE Regulations. Soils ranging from ordinary dust and dirt to oil and debris are commonplace on warehouse floors, requiring an industrial-strength floor cleaning solution. Nilfisk’s rugged floor cleaning equipment tackles these challenges with ease, cleaning thoroughly. 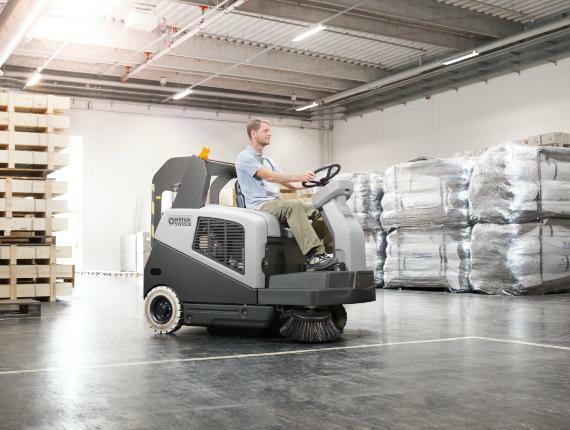 Nilfisk machines are easy to maintain and increase productivity. They are reliable and durable, and have all the characteristics necessary to operate in very difficult conditions. Get a clean and safe floor and save time, labour and costs​.